Rich velour ropes are pre-fit with matching polished chrome snap-ends. 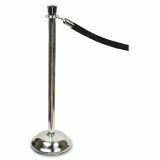 Tatco Crowd Control Posts, Chrome, 41" High, Silver, 2/Box - Classic polished chrome posts and black velour ropes provide stylish, portable traffic guides. Heavy-duty shell is mirror polished. 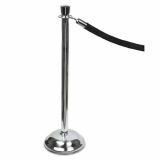 Bell-shaped, weighted base stays in place and will not stain carpet. Rich velour ropes are prefit for the post and have matching polished chrome snap ends. 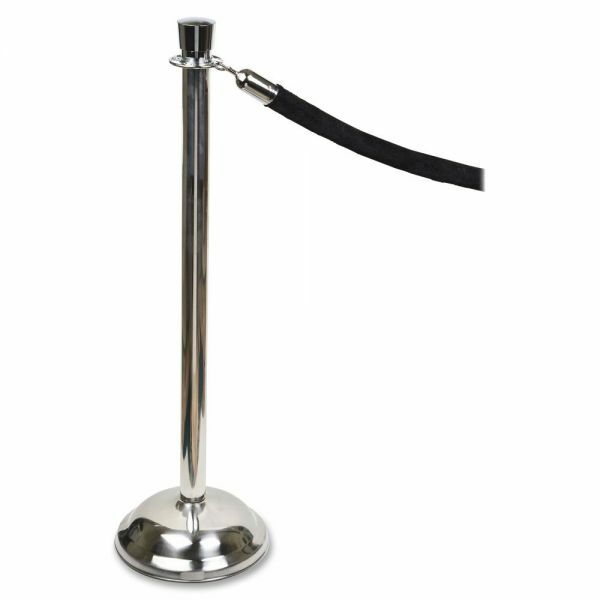 For complete stanchions, both posts and bases sold separately.